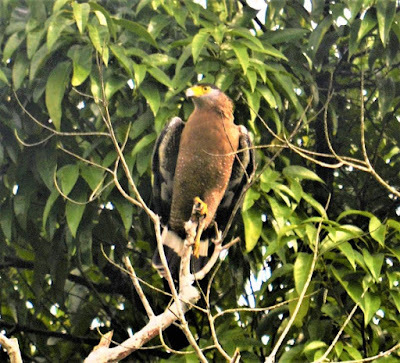 A beautiful Serpent Eagle with features clearly seen in my closest encounter so far. 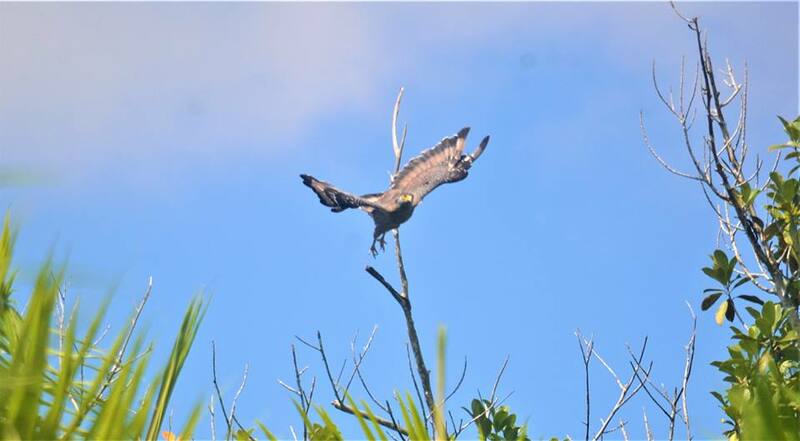 Before the end of the year I woud like to put on record that in 2018 I had some quite close encounters with the Serpent Eagle at the Kambatik Park. On one occasion (23 Oct'18) I was able to take pictures of it taking off from its perch and then in flight. I am pleased that the Kambatik Park lives to its name as a wildlife sanctuary by attracting birds of prey. For one it testify to the presence of wildlife that these birds prey on. It is my hope that these majestic birds will make it a point to frequent the park in future. Stork-billed Kingfisher (Pelargopsis capensis) "Pekaka-Emas Biasa" - Malay. 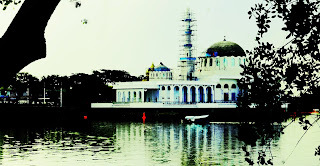 Malays call the bird 'Pekaka Mas'. I was lucky on 13 December,2018. 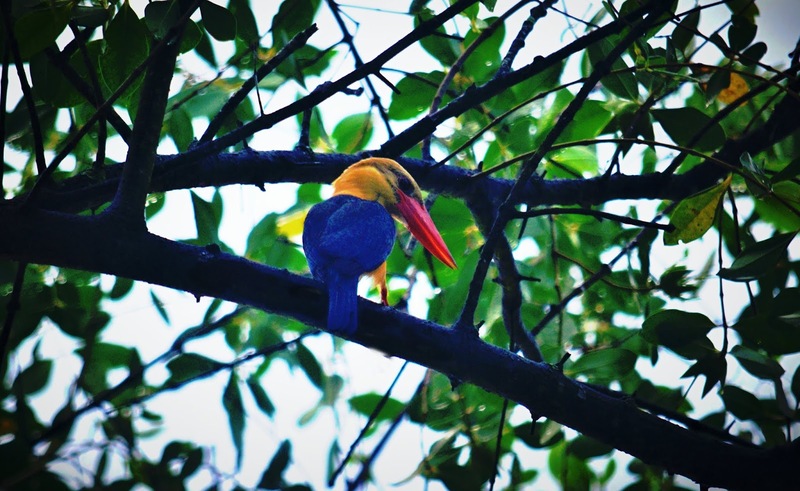 While enjoying the scenery at the Kuching waterfront (on the Astana side) my attention was caught by a Stork-billed Kingfisher that was intent on catching fish in the river below. 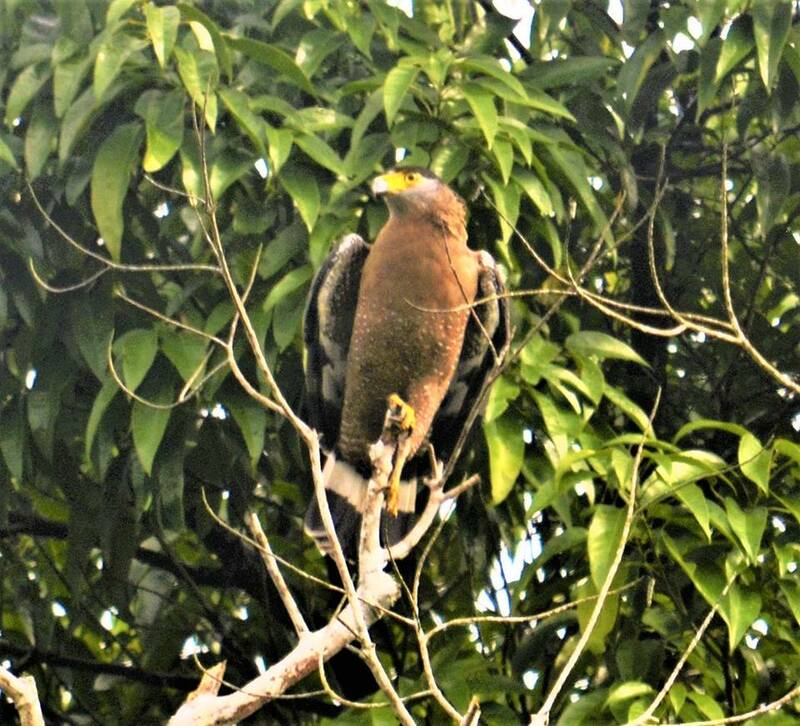 It was perching patiently on the branch of the mangrove tree called "Pedada' in Sarawak. This is the first time that I come very close to a Stork-billed Kingfisher, approximately 20 meters distance away. So here's some evidences for the file. 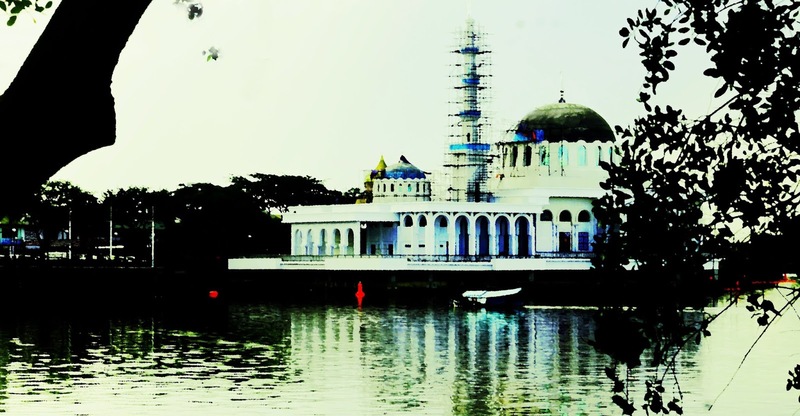 View from the Astana-side of the Kuching waterfront. Ssssshhhhh…..now you see it, now you don’t. 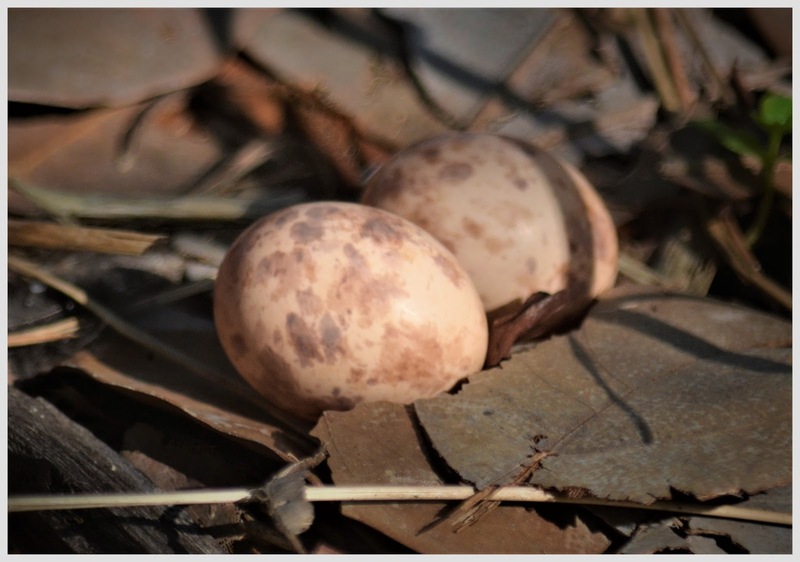 The Nightjar is still around and what a surprise – it is settling on two eggs!! The Large-tailed Nightjar has always been a permanent resident of the park. Here they hunt for insects and produce a familiar garden call which sounds like ‘tok,tok,tok’. The sounds can be heard every day here at dusk and dawn and throughout the night. The Large-tailed Nightjar (Caprimulgus macrurus ) has a black bill and a body that is very well camouflaged with its preferred environment of open grassland. It does not build the typical nest and would lay its eggs on bare ground. The eggs (see inset) as if by rule are two in numbers and are blotched.